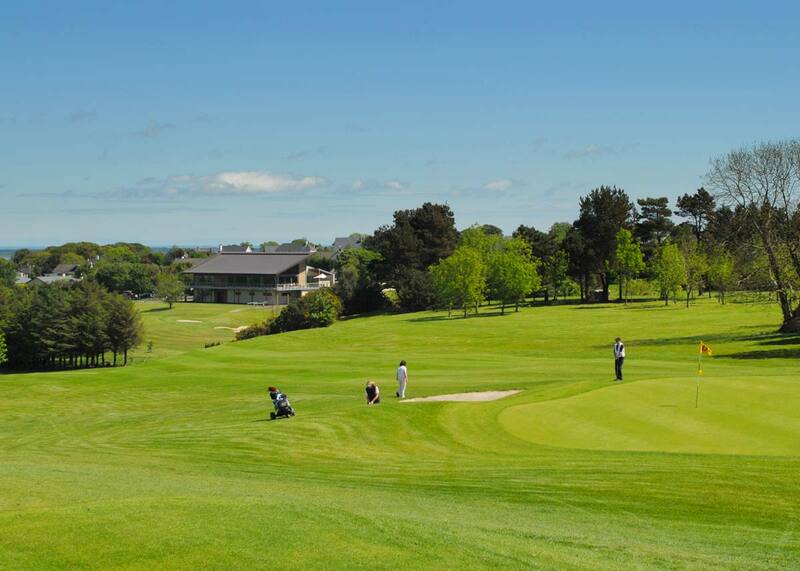 “Wexford Golf Club is a place I always enjoy going back to. A great course and always a warm welcome. The newer holes have made the course a much tougher test and one of the most demanding finishes in Irish golf. The greens are always a pleasure to putt on and are as good as any I have seen on tour. I look forward to my next visit”. “Please pass on our sincere thanks to The Wexford Talbot, Wexford Golf Club, and St Helens Bay GC. We found both of the courses to be a true challenge of our golfing abilities, and found the welcome we received at Wexford GC to be exceptional! Everybody we spoke to there made us feel so welcome, even to the point that a couple of the members, Rich and Mike, allowed us to make up a Fourball with them after three or four holes. It took away some of the guesswork about which way we should be going, or where we should be laying up etc, and allowed us to enjoy the course, and some of the views, more than otherwise would have been possible. Choose Value, Quality and some of Irelands best Golf; Choose Club Choice! While here the guys played Wexford Golf Club, Enniscorthy Golf Club, Bunclody Golf & Fishing Club Official and Rosslare Golf Club. Andy Pothecary and the other 1st & 2nd Prize Winners from our Irish Golf Day atLansdown Golf Club really enjoyed their recent golf trip. The guys traveled over with Stena Line UKIE, staying two nights at the Ferrycarrig Hotel and playing Wexford Golf Club and Rosslare Golf Club …and loved it! “Thank you Club Choice for all the arrangements you made for us we had a great time and the weather was kind. The hotel was in a great location and very comfortable, please pass on our thanks for their hospitality and great customer service especially their friendliness and always asking if we were ok and having a good time. The 2 golf courses were excellent and a great challenge for us, both very different from Lansdowne. I will gladly recommend a trip to Ireland for golf through Club Choice Ireland and hope I can return soon to try other courses. We played the course located directly in Wexford today. Green Fee €15 pp is top. The place is not very long, but is challanging in the wind. Lanes 4-8 have a wonderful view over the bay of Wexford. . The condition was good, the greens are undulating -not good for the score. Through the slopes it is better to play for seniors with Elektrotroley. Chris Smith and the guys from the Todgers Golf Society of North Somerset, were eagerly awaiting their golf trip to Wexford, Ireland for over 12 months… well it didn’t disappoint! The guys were over on the Talbot Hotel Wexford Package. After travelling via Stena Line UKIE they relaxed with a couple of pints in The John Barry followed by a few days of top golf at Wexford Golf Club and Rosslare Golf Club. Bliss!! John ‘O Leary picked up 1st place at our first Irish Golf Day in Fairwood Park Golf Club back in April. He made the most of his prize by putting together a great ‘Golf & Shopping’ trip to Waterford, Ireland with his friends and partners. The guys had a relaxed crossing with Stena Line UKIE before checking into Treacys Hotel Waterford for the weekend. They enjoyed golf at Tramore Golf Club, Waterford Golf Club and at Wexford Golf Club before heading for home.